SLAVIN: All right. It’s the Council, so I know we have to start right on time, or else we get demerits. I’m Barbara Slavin. I’m a member of the Council and I direct a program on Iran at the Atlantic Council—a rival think tank, but I hope you won’t hold that against me. I am so excited to be doing this program. 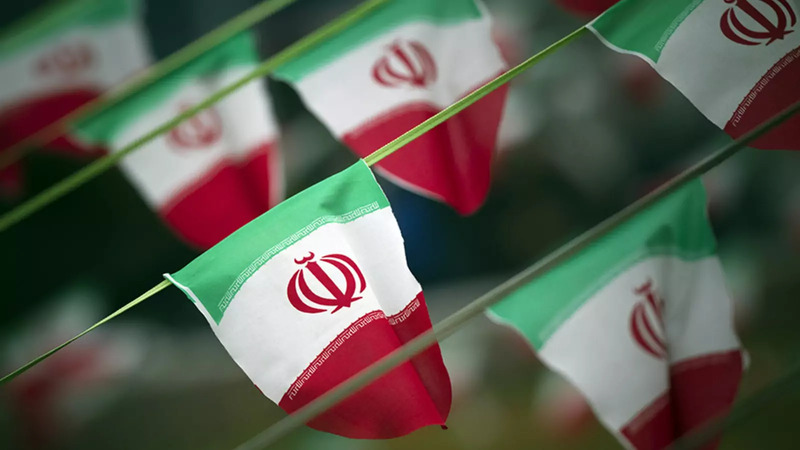 We have made so many mistakes in terms of U.S. policy toward Iran over the years it’s hard to count, but I think that the beginning of wisdom is to recognize some of those mistakes, some of those opportunities to look back at where we were. Hopefully it will help us formulate better policy toward Iran now and in the future. So this is a terrific series that the Council is doing and we have three phenomenal people to talk about “Lessons From History: The 1979 Iranian Revolution.” This meeting is on the record, so those of you who feel inclined to tweet or put it on Facebook go ahead, and I believe it’s also being livestreamed. Our speakers, you have their bios, but just briefly we have Dr. Ervand Abrahamian. He’s a distinguished professor of Iranian and Middle East history and politics at Baruch College, City University of New York. He is co-author of a book called Inventing the Axis of Evil: The Truth About North Korea, Iran, And Syria, and the author of The Coup: 1953, The CIA, and The Roots of Modern U.S.-Iranian Relations. Next we have Gary Sick, who I’m sure is familiar to many of you here as very active on this issue. He’s a senior research scholar at Columbia University’s Middle East Institute and an adjunct professor at the School of International and Public Affairs. He served on the National Security Council during the Iranian Revolution and the hostage crisis, working with Zbigniew Brzezinski and President Carter. And, of course, his experiences he has documented in several really interesting books, including All Fall Down: America's Tragic Encounter With Iran and October Surprise: America's Hostages in Iran and the Election of Ronald Reagan. And finally we have John Stempel, who is a senior professor at the University of Kentucky’s Patterson School of Diplomacy and International Commerce. He directed the school from 1993 to 2003, then served as associate director. But more to the point for our purposes, he was based in Iran as a U.S. diplomat from 1975 to 1979, and so he had on-the-ground experience watching U.S. policy being formulated, watching the shah, watching the revolution gather steam. So we’re going to start with a little bit of a conversation among ourselves and then we will open up to all of you for questions. So think of the questions you’ve always been dying to ask about the Iranian Revolution and we will get to you. I’m going to start with Professor Abrahamian to talk about how U.S. policy toward Iran was shaped by the 1953 coup. As you all know, the United States intervened in 1953 to put the shah—the then-young shah—1953—on the throne—back on the throne. And that experience, obviously, informs a lot of what came afterwards. So, Professor, the floor is yours. What is the legacy of ’53 in terms of ’79? ABRAHAMIAN: I think what we learned from history is that we don’t learn anything from history. (Laughter.) But what I’m interested is historical blindness and when certain important things disappear from political awareness. And if you look at the many postmortems that were done during and after the revolution on what caused the revolution, of course, all of these postmortems argued that it took us by surprise. This regime was considered stable. We did not expect it. And then there’s a try to explain why they didn’t expect the revolution. So the—academic works, too, also, of course. There’s been a whole library of academic works on the revolution. And what you find is that there is this blindness of the importance of ’53. Even when you get a State Department document before the revolution saying there are problems with the shah, they talk about corruption or basically consolidation of too much power. One thing that’s always missing is the importance of 1953. There might be psychological, political, even legal reasons which I won’t get into why people in the State Department/CIA would not talk about 1953. So there was, you can say, an Orwellian disappearance of ’53 from the public record. But if you look back at the history of the importance of ’53, this is something, really, that I think dominates the Iranian consciousness. It maybe completely disappeared out of the American consciousness, but in the Iranian consciousness ’53 was the basic event in Iranian history until ’79. So there’s a sort of gap there. And in this the shah actually is very shrewd as a politician. I know he’s got—he’s got bad press now as somewhat incompetent and so on, but if you look at his behavior he is very aware of the importance of oil nationalization and Mossadegh. In fact, when oil is nationalized, the U.S. and Americans tried to influence the shah to get rid of Mossadegh. And here you can actually see the shah telling the American ambassador I can’t do this, is—as my father, Stalin, Hitler can be acting as proud, big strongmen when the had their country behind them; but in this situation, Mossadegh and oil nationalization is fully supported by the nation. If I go against Mossadegh and oil nationalization, this will doom my own monarchy. These are his own words put in depth. So he knows in 1951 the importance of this issue. He’s very reluctant to go against nationalization and Mossadegh. He’s literally dragged into it by the British and the Americans. They give him an ultimatum that we’re going to go with the coup; if you’re not with us, there’s no guarantee you’ll be on the throne afterwards. They even hint that his younger son would be replaced by him. So he has no real choice but to enter this situation. So he participates in, you can say, the original sin of the coup. And from then on he knows that the monarchy is really delegitimized. And you can say, well, this was a long time ago, but if you look at his—Alam, his confidant, Alam writes in his diary that the shah even at the height of his—the oil boom, the height of—was basically haunted by Mossadegh’s ghost. Mossadegh was dead, but he was still obsessed about what had happened there. Why? Because he knew, basically, the regime was delegitimized. And it’s not just a question of oil contract; it was delegitimized because a popular national leader leading a struggle for national independence had been removed and he had been brought into power. So when the crisis comes in ’77-’78 and the shah is trying to deal with it, basically the problems that are often raised that caused the revolution—human rights, whether the shah has cancer—these are basically triggers or the last straws. Once things unravel, he doesn’t really have the legitimacy. And this is really the core of the revolution, that this is a regime—despite four hundred thousand soldiers, three hundred thousand civilians, oil money—there is lack of legitimacy there. And I think John actually a number of places in his book says, well, none of the opposition leaders considered the shah legitimate, and the shah knew that. So any type of opening you give, the first thing that’s going to come on the table is: Who are you? What’s your legitimacy? (Laughs.) And he knew that was basically the Achilles’ heel of the system. So I would say the core of the revolution explanation is this, ’53. But you don’t get it in the postmortems, and you don’t even get it in the postmortems of postmortems. There’s a person here in the audience who’s written a postmortem on the—’53 disappears mainly because I think the officials who wrote these memoirs or wrote the dispatches from Tehran couldn’t really deal with ’53. SLAVIN: I want to, actually—instead of going to you, Gary, I’m going to go to Professor Stempel, if I may, because you were on the ground. You were watching this. ’53 also left a legacy in terms of politicians, members of opposition movements that were started at the time. You had the Freedom Party of Iran with religious intellectuals. You also had militant movements, guerilla movements that took their origin, fedayeen and so on, from ’53. So tell us what you were saying. And did you know what was coming? Was the problem that you couldn’t communicate it effectively to Washington? STEMPEL: Well, I came in 1975, and I folded in nicely. Ambassador Helms was a good teacher and a good friend, and a(n) even better tennis player as I found out. My contribution to the embassy was moving our embassy team up to the—the addition of myself and one other person who arrived—moving it to the top of the embassy ladder. So that’s my first accomplishment in Tehran. But I started out with a mandate from the ambassador to go talk with the opposition people. And from the very beginning I was meeting quietly, without fanfare, with Bazargan, Marent Azzam (ph), Shapour Bakhtiar, and a handful of others that I won’t name, and kept on going through that period. And, you know, as things begin to break down or things begin to change, the opposition leaders that I talked to—and these were not wild guerilla leaders; these were the people that actually came in in the first round. And they were not—these people were not as hostile to the United States as many others. In fact, many of them (said ?) Europe and the United States were, you know, a fairly critical idea—fairly critical part of their idea of what modern Iran should be, but taking away the sort of the rudimentary, rude monarchical trappings or even worked out into—they saw, I think, evolution into a British parliamentary system as what they would like to get. And that came head to head, then, in the period after the fall of 1976. Ambassador Helms left. In early 1977 we had the first killings, in the south. And then things begin to roll. And the shah was never quite stable. Even as late as late ’77 one of our senior diplomats talked to the shah, and when he came back the first thing everybody in the council said was: What’s he doing? How’s he doing? And he said, well, you know, he’s OK. He talks all right. He’s tired. But he was clearly concealing his long-term prognosis from us and from other people, although other people guessed or simply assumed that it was the case. The problem for us was sending these things back to Washington in ways that they would be picked up. SLAVIN: This is Warren Christopher, right? SLAVIN: It was Vance, right? STEMPEL: Yeah. Now, the undersecretary, Warren Christopher, I began to hear bad things from him back from the State Department about others. And at the critical time in early 1979, Christopher was at the—a meeting of the SEATO alliance in Pakistan. And Sullivan said with the core group—said, OK, why don’t we ask him to stop by here and, you know, talk to people and kind of cool things down? And Christopher took a long time, I thought, answering, and he came in with a long, several-paragraph letter: The secretary of state—I’m going to use a little—(inaudible)—here, but you see what I mean—a little bad language. Sullivan looked at that and exploded, as he could: “Chickenshit Christopher.” (Laughter.) And, in fact, he was always called “Warren Chicken” in the polite form afterwards because he said, I just don’t want to come. And I think that that point from ’79 on was the key point in which it appeared that we weren’t going to get any action out of the front office team. When I came back, as the secretary—when I came back home in July, I think, of ’79, ending my four-year tour, nobody in the top wanted to talk to me. And, you know, the Iran Desk didn’t much care at that point. And I could, you know, have a relaxed time and have fun with my kids and all that sort of stuff. But there we—there we are. SLAVIN: Let me ask you one follow before I turn to Gary, and that is: Did you appreciate—I mean, you met with people like Mehdi Bazargan, who was the first prime minister after the revolution. These were religious people, but they were secular, Western-oriented also, and they were educated in the West. Did you appreciate Khomeini and the power of the Islamist forces that were bubbling up? STEMPEL: I appreciated the fact and the power that Khomeini had. And when the—when the plane came, I hoped the plane wouldn’t ever land in Tehran, let me put it that way, because I knew—and it was quite powerful, and people deferred to him. And the more fanatical people were around him. And afterwards, as it worked out, those people entered into the government and took over from the Westernized democratic people. SLAVIN: OK. Let me turn to Gary. You’re in the middle of this storm. There were a lot of things going on in 1979. Jimmy Carter was trying to make peace between Egypt and Israel. He was dealing with the Russians. There had been the Russian invasion of Afghanistan. Was it hard to get people to focus on what was happening in Iran? You know, reading the history, it’s not until November of 1978 that the ambassador at the time, Sullivan, writes the cable thinking the unthinkable. SICK: I was the desk officer, in effect, in the White House for Iran during this whole period. And that was—so I had the job of trying to get people’s attention, and the bottom line was that with—when you’re competing with Camp David as a—you know, as an issue, you know, I ended up—although I was the—Iran was my beat, I ended up spending an awful lot of time working on the Camp David Accords because that was what was really hot. But that’s not to say that people didn’t know or didn’t care. There were regular memos describing how things were going wrong. And, you know, in retrospect, we’ve talked—a lot of people have talked about intelligence failures. And Bob Jervis, who is here, wrote the authoritative book on that. But actually, in terms of what we—what we know now that we didn’t know then other than just the benefit of hindsight, there’s really only two or three or four pieces of new research that has really been done. That’s one of them which I think Charles Kurzman’s book on The Impossible (sic; Unthinkable) Revolution, which is a sociological look at the thing and looking where the tipping point took place and so forth. And I also think Andrew Cooper’s book getting—talking to the people in the palace and finding out what was going on there added a dimension. But otherwise, basically, what we know now is what we knew then. It wasn’t—it’s not that much of a mystery. The intelligence failure is really very simple: We completely misread the shah. Basically, here was a man who had been on the throne for thirty-seven years. He had a vast amount of experience. He had immense amounts of money. He had a huge army. He had a fearsome secret service. He had everything that he needed to deal with this problem. And he didn’t. And we kept expecting him as things got worse to say, OK, now I’m going to really come in and do something. In retrospect people say, shouldn’t you have told him to do that? I’ve discovered one of the new pieces of information that I’ve learned, which I didn’t know at the time, was on two different occasions—in the middle of 1978 and again toward the end of 1978—the shah was presented with a plan by his own SAVAK people and by the head of the military, both of them outlining ways he could stop this from taking place. The people who’ve looked at it in retrospect say, well, but it would have been a bloodbath. Well, no, it didn’t have to be a bloodbath at all. The plan didn’t call for going out and shooting everybody. It called for two things: One, rounding up all of the leaders of the opposition, who—they knew who they were—and maybe taking them off to a remote island someplace for a little while to get them out of the center of the action; and, secondly, to sort of flood the streets with police and military people so that any rioters who felt the need to do that would be intimidated and would go home. You didn’t have to kill a lot of people to do that. And you can say now in retrospect, well, you know, could that really have worked if the shah had done it? Well, I give you the example of 2009. There was another revolution in Iran. There were probably two, three million people in the street of Tehran. They were chanting: Down with the Islamic Republic. They were going after the—you know, the ayatollah. And it looked as if the game was over. And what did they do? They arrested all the people who were the principal spokespeople for the thing, threw them in jail, and held them for a period of six months to eight months. Mostly they let them out afterwards. There are very few of them who are left in jail. But they were silenced over a critical period of time. And they flooded the streets with the military. And what happened? It ended. SLAVIN: Then why didn’t he do it? SICK: —first by the SAVAK and then by the military people. And he didn’t. And so the real question is: Why? And you know, it’s an almost impossible question to answer. We had gotten accustomed—’53, indeed. By the time we got to ’60—by the time we got to ’78-’79, ’53 was an ancient memory as far as American political people were concerned. We have short memories. Basically, if you can remember the last six weeks you are really doing very well. Or certainly looking six months ahead was considered long-term planning. But there was—we did know that ’53 had taken place. But we didn’t attribute the degree of importance to it. SLAVIN: Yeah. Dr. Abrahamian, I’d love to hear your speculation as to why the Shah did not try this. And he was being urged also—I mean, Zbigniew Brzezinski was calling for another military coup, essentially, right, and trying to persuade the generals to buck up the shah. ABRAHAMIAN: Yeah. I don’t want to appear as though supporting the shah, but I think he was more realistic than the ideas of people saying a crackdown. The shah argue that he didn’t want a bloodbath. But I think his—again, his pluralistic—his army was not a Pinochet-type of army that would be able to do that. Bill Sullivan also in his reports, says basically there were already defections from the army. The shah is not using the army for good reason. He doesn’t know how people are going to behave. And it’s interesting, when the first big riot occurred in Tabriz, in fact there were defections in the army. They had to send new troops in there to be able to restore order. And through the sixteen months of rioting, you find rarely that soldiers are asked to shoot. It is always officers who shoot. So to ask a soldier to actually shoot, Sullivan here says: If you do that, they’re going to be shooting at their own relatives. So what will they do? They’re likely to turn their guns on their officers. You’re going to have a civil war rather than a quiet takeover. And here I disagree with Gary about, well, it would have been easy to do. You round up the leaders. First of all, there were no leaders. There was Khomeini pronouncements in Paris. Unless you actually assassinate him—in Iran, there were people who were leaders because they represented Khomeini. On the ground, it’s really a revolution—a grassroots revolution. It’s kids in the street, high-school students, high school graduates, college students. They called them bcheh ha, “lads.” These were the people who go together, every day they would go around causing a problem. What are you going to do, round up everyone? And if that occurred also, and when there was actually a use of the military, it didn’t result in quiet. It resulted in a general strike. SLAVIN: Yeah. Yeah. I mean, they did shoot people. And then forty days later, there would be another demonstration because of the Shia morning rights. They would shoot more people. And that didn’t work. SICK: The worst—the worst shooting incident that took place was in Jaleh Square in September. SLAVIN: Right, in September of ’78. SICK: Curiously enough, President Carter was at Camp David with Begin and Sadat as the Jaleh Square incident took place in Tehran. It was a real conflict of interest that was extraordinary. But I wanted to—just one thing. I understand the argument that is made, and I do understand that it would be difficult. I mean, it doesn’t say that this is—you snap your fingers and the great revolution comes to an end. But I watched this happen in 2009. And there were kids out on the street. It was largely leaderless. It was—you know, and they stopped it in its tracks. And the people who stopped it were the people who actually made the revolution. And they were not making the same mistakes the shah made early on. But let me just say one thing. At the end of the thing, when basically the shah did declare martial law and General Azhari, the chief of staff, became the prime minister, he had a slight heart attack in December of 1978, which is probably symbolic of something, and actually Bill Sullivan went to see him while he was in the hospital. And at the end of their discussion, Azhari waved him over to his bedside and said to him a single sentence that I think describes the Iranian revolution very well. He said: The country is lost, for the king cannot make up his mind. And to me, that really captures what is going on. I was—I note, by the way, John, that Sullivan didn’t bother to report that to Washington until his memoirs. That’s where I learned it. (Laughter.) And there’s something—you know, there was something askew here. SLAVIN: Do you want to—do you want to speak to sort of the bureaucratic inertia, John? But also, you know, there were—there were ideas about assassinating Khomeini and so on. I mean, these, I assume, were quickly put to rest. As I recall, he returned to Tehran on a giant Air France plane that had about 100 or more journalists on it, so. STEMPEL: Well, I don’t think that that made a big lot of difference. Put it this way, first of all, after the shah—Khomeini came to power, we had no business maintaining our embassy compound that way. And I and any other people argued that that was stupid. That was setting a target up on the table. And we’d had demonstrations, just like the ones that took over the embassy. I drove through two of them, and it’s not fun. And they—but it was OK.
SLAVIN: So the recommendation was to scale way back? STEMPEL: Yeah, scale way back. And a lot of people—I mean, including our deputy—our DCM at the time, thought that was the way to go. Now, how much of that got through to a—to a top echelon in the State Department that refused to listen to what the folks on the ground were doing—and that, both as a professional diplomat and as a person involved in that—is that kind of thing that makes me boil, and I get angry about it. SLAVIN: Please, here. You’ve touched on this obviously. Yeah. ABRAHAMIAN: I mean, Khomeini is a masterful politician. At certain times, he makes statements that, you know, he could deal with United States. But at the core of it, there is a crucial anti-Americanism in political terms. First of all, the first time he appears really in public, when he denounces the capitulations to the U.S. in ’64, it’s basically that the shah is giving extralegal rights to American military. This is a proof that the shah is a puppet of United States. So it’s basically a history that goes back. SLAVIN: You know, but “death to America” doesn’t become the slogan until the hostage crisis, is that correct? Marg bar Āmrikā. That comes in with the hostage crisis. Or was it there before? SLAVIN: OK. Gary, last to you. I mean, why didn’t—why wasn’t the embassy radically reduced in size after the revolution? SICK: You know, it’s interesting because, you know, John said we knew what was going on on the ground, but Washington wasn’t paying any attention. From a Washington perspective, where I was, we were reading the newspapers and getting what was going on on the ground, but we were hearing very little from the embassy that was actually helpful to us in terms of spatially sorting out why the shah isn’t behaving the way he should. We were all brainwashed at that point to think that the shah was a—he was this iconic figure, he was tough, he was strong, he was decisive. And all that ’53 stuff was gone. He—that was when he was young. Now he was a real leader. He had a lot of experience. And that—we believed that. And we were wrong. We were absolutely wrong. Plus the fact, the guy was only two years away from death, you know? SLAVIN: (Laughs.) It was before the internet. Yeah. I want to open up to the audience now because I’m sure there are a lot of very knowledgeable people that I can see who would like to interject. So, yeah, wait for the microphone, and say your name, and—this gentleman right here—and ask a question, say if it’s directed towards one person or another up here. Q: It’s mostly for—oh, Bob Jervis. Mostly for John. It’s a question, without asking you to be disloyal to your ambassador, about Sullivan, because my reading of the traffic is until the—until November is consistent with Gary’s. And specifically when Sullivan was away from the embassy in the summer I thought the embassy reporting was fuller and more pessimistic. And certainly the consular reports were fuller. And one of the sort of gossip stories when I did the post-mortem was that, as one person put it, Sullivan ran a very tight ship. So can you talk a bit about Sullivan, his relation to the shah, to the rest of the embassy, and his attitude toward Washington? STEMPEL: There are different ways bureaucrats get messages across. My memory of the period is a little bit dimmed from forty years, and that’s normal, but I think the—and I think some of the things Sullivan said were said for certain audiences and other audiences. I don’t ever think he—Sullivan had any serious thoughts that the shah was going to be the answer to the problem, unless he was willing to get out of the way in some way. Now, I don’t know whether he’d voiced that through—that would—that would be my basic position on it. And I will say, though, that he—that there was a little easing of the restrictions, shall we say. And that happens in embassies. And that’s a good thing. And we had visitors coming through from time to time who talked to all of us, as well as the top. But there wasn’t that much difference between Sullivan’s basic approach. Now, he’s an Irishman, OK? He gets wild a little bit, you know, but he was very shrewd in his observations. And his—the thing to me was that after I had left on home leave in the spring of ’79, things were going just fine. And I’m a week into my two and a half weeks home leave and, you know, Ambassador Sullivan has left Iran. I thought, you know, who sent him a (shoo-ey ?) message, you know, or something else. Because he could get mad. And I don’t know what—Gary, maybe you know whether there were some outgoings in that time that had anything about it. But I think he just—in talking with me the following November at a lunch in New York, he simply said: I just—I just realized it wasn’t going to work with those guys—those guys, meaning the front shed. SLAVIN: Right there—gentleman right there. Q: Thanks. I’m Jon Finer. I work at Warburg Pincus here in New York but was John Kerry’s chief of staff at the State Department. I have two questions that may sound sort of like process and boring but given the clear disconnect between the State Department view of what transpired and the NSC view, I’m just kind of intrigued. So I guess, mainly for Gary, were there interagency meetings of any kind in the run-up to the revolution, at which, you know, people from different parts of the government would have gotten coordinated and get a message back to the president? And what were those like? And then, I guess for any of you but primarily for Gary and for John, Gary you offered a view of what the shah could have done in response to some of what was happening. I’m wondering if you—either of you have a strong view of what the U.S. should have done. John, you said kind of signal flares that were going back to Washington weren’t answered. Gary suggests maybe they weren’t received. But if everything had worked perfectly in terms of information flow, what would the United States have done in response to what was happening. SICK: Well, the—with regard to the interagency process, it was completely broken. Basically, there was—we were paying attention to the Camp David Accords and the Arab-Israel peace process had completely taken over Washington. Everybody was focused on that. And there was—I think it’s accurate to say—a real sense that we—what we could do was really quite limited. I thought about this a lot. And I’m willing—you know, the name of my book was All Fall Down. It’s not as if I’m pretending that we got it all right. The whole premise of the book was that we got it all wrong. The real question is, what if you got it right? What if you had all the information that you needed? What if you had everything that you needed? Then what would you do? OK, so we are going to come in and tell the Shah to do something that his own SAVAK organization and his own military can’t convince him to do. Really? And to really do it, we should have done it in the summer of ’78, before the problem really got out of hand. We’re going to do that with a guy who basically every time he sees us gives us a lecture on the fact that we’re not running our business the way we should be? And this—people forget what the relationship was between the shah and Washington at that time. And basically, he was the guy calling the shots. We had asked him to take over responsibility for our interests in the region. And so in many respects people talk about the tail wagging the dog, it was the tail wagging the dog. And we had done it ourselves. And it started with Nixon and Kissinger in 1972 when they visited and basically gave the shah a blank check. And the Carter administration and Brzezinski fully accepted that and went on with it. It was not—it was not questioned. And we did it. But we paid a very high price for it. SLAVIN: And you didn’t know about his health situation. SICK: Yeah. Anyway, so I think—I don’t think—we had made our—we had basically allied ourselves with one man, the shah, and the understanding was he was going to survive for a long time. Basically, the CIA came to a conclusion in 1978 that he was good for another decade. He was gone in six months. SLAVIN: Lady right here. Wait for the microphone, please, ma’am. Q: Patricia Rosenfield. I’m asking this question as a former Ph.D. student who worked in Khuzestan province and collected a lot of local, grassroots data there. And I’d like to go back to what Ervand Abrahamian was saying, because in fact even beyond ’53, in the 1960s and early 1970s, before ’75, a number of American researchers were out in the field in Iran understanding that this grassroots revolution was about to happen. And an anthropologist who was working in villages near mine was predicting, because every member of the families there was—had been taken in by SAVAK. They hated the shah. But why did they hate him particularly? Because of the vacillating economic development policies. And they would have promises made and promises taken back. And so I’m wondering really from—I mean, Iran was absolutely right—but why did the State Department not—and I was funded by USAID to be there—not tap their funded research students who were out there in villages all over the country in an earlier period to find out what was going on? That’s my first question. I just have another point of history that wasn’t paid attention to. And that was, in the mid-1960s the shah threw out the Ford Foundation because they weren’t proceeding in helping him develop the plan organization the way he wanted to. And he just threw the entire organization—that had been out there and doing, the foundation, doing a number of interesting things. But he just said, out. And so there was a history there, a recent—not just Mossadegh—that wasn’t being paid attention to. And I have one just more question. (Laughter.) Ervand, not just, because how are we going to use—what you advise today in terms of using the history that you all know so well, that we might have a more sensible policy? SLAVIN: (Laughs.) Yeah. Well, don’t get me started on that one. (Laughter.) If you’re—if you’re interested in that, you should watch the program we had at The Atlantic Council on February the 12th about where we are now and where we think we’re going with Iran. Q: (Off mic)—not to use the researchers funded by the U.S. who are out there. And this happens in other countries as well. We have many, many, many people. SLAVIN: I mean, there were Peace Corps people, there were academics. James Bill writes about this in his book The Eagle and the Lion. You were—you were getting this information, yeah, and passing it up the food chain, but nobody wanted to eat it? STEMPEL: Well, and there were—as Gary put it so well—there were divided views about it on the side. I mean, this isn’t one—this isn’t clear as a bell on either way. But a lack of—my theme here, if there is a theme, is that our government didn’t do a coherent study of it. SLAVIN: Gary, we had talked about this before the event also. We have to remember that the shah had really powerful friends in the United States. We mentioned Henry Kissinger, certainly the Rockefellers. A lot of people who’d—a lot of military-industrial complex-types, who had sold billions of dollars of weapons to the shah. He was buying more weapons than anyone else in the Middle East. I wonder if there are any lessons from that—(laughs)—today for countries in the region who are buying huge quantities of American weapons and that have autocratic regimes. I just put that out there. STEMPEL: If I—could I add one thing? We’re not as dumb as we look, however. (Laughter.) Because before—this was before I left, we went through the Air Force planes and took out all our sophisticated equipment and brought it home. SICK: Can I just say just one thing about the researchers and all? Which is a very, very good point. And there were people out. Two quick stories. One, we got a guy who had been a station chief in Iran but had left and was now in private business. And so Carter asked him to go out and do a look himself independently. And he came back and with a hand-written report, which was just bland—it said nothing at all, it didn’t say there’s anything wrong with the shah, it had no indication. But when he got back to his business, he had all of his people leave. (Laughter.) And he didn’t tell us that. So he wouldn’t tell the White House, but he would go back and take his business and go elsewhere. So it’s—you know, it’s a problem that, you know, who are you going to believe, basically? SLAVIN: Well, the CIA wasn’t allowed to analyze Iranian domestic politics. They were supposed to be focused on the Russians. SICK: You know, one of the things—for example, one of the things—well, one of the things that really came through, that I thought at the time and others have since, and now Bob did too I know, is that Khomeini was communicating with people via cassette tapes that were being created—he would talk by telephone, they would make the cassette tape, then they would go out and sell it in the bazaar or hand them out free. That’s how he was communicating with his people. STEMPEL: Out free, I got three of them. SICK: Well, maybe you got three of them, but the intelligence from the region never gave us a single word about what was going on on those cassette tapes. SICK: And as far as I know, the CIA never got one. Q: He asked for them, the analyst, and never got one till November. SLAVIN: In the embassy, didn’t the CIA talk to—(laughs)—talk to the diplomats? STEMPEL: Sure, but I mean, you know, you see it and it’s so common. You know, and I think we packed off two or three of these tapes to the State Department. I don’t know what happened to them. But of course, you see, there was—at State they didn’t want to talk about it. The secretary and the deputy secretary—the deputy secretary was a cipher. The secretary didn’t want to do anything about it. And there was nobody, you know, in the immediate chain of command who could swing a heavy mallet. Do we have any other questions? Yes. Wait for the microphone, please. Q: (Off mic)—March Partners (sp). I had a quick question for Gary. Every time a revolution happens, they blame the head person. I mean, Russian revolution, it’s Nicholas, French revolution it’s Louis. Is this any different, this blaming of—that’s one question, is it different blaming the shah? And the second is, why didn’t anybody interfere with Khomeini in France? Was that completely out of our jurisdiction? SICK: The answer to the first is there usually is somebody in charge who bears a great of responsibility in these things. Basically, the shah had everything at his command. I remember having discussions with my colleagues. So here I was, I’m a middle-level guy, and operating out of the White House, but nevertheless a very lower level. And I was talking to people from the Israeli embassy, the British embassy, the French, the German. And I would see these people all the time. We spent a lot of time talking with each other about the thing. And what we would say in each case is, yes, things are going bad. They’re getting worse. But, you know, if you were going to bet, you’ve got—here’s a guy who’s got thirty-seven years on the throne, a tremendous amount of experience, money, people, secret service, all of those advantages. On the other side, you’ve got a bunch of people with basically no guns operating out of the mosque. Who would you bet on? If that was—if you were going to bet which way this is going to go? And of course, that’s what we talked about, is which way is it going to go? That was the real question. And the reality was, the shah had all the cards in his favor, and he didn’t use them. And, yeah, I have a very hard time explaining that. I think part of it was his sense of mortality. I think he really knew that he was dying, and that he was getting ready to turn this place over to his son. He wanted it to be quiet and have a transition that would go on. And he didn’t want to get into a full-scale battle. In the process of pursuing that, he lost it all. And I still—and it was true—I had this conversation with, you know, all of these other embassies. And their heads of state and their information services were all going through the same problem we were, not coming up with an answer. The Israelis say that they knew that he was not behaving well at the beginning of the year, and they didn’t do anything about it at all. They took that cable, which they actually got one, and filed it away and took no action whatsoever. And then basically, ultimately, the United States had to provide some of the support to get the Israelis out of the country at the last second. So nobody was covering themselves with any glory in this thing. And every government involved, we were all beholden to the shah in a way—and if there’s a similarity with where we are now, that you get this relationship with MBS for instance, the personal relationship, and you put all of your cards on this guy, that’s really dangerous. It really is dangerous, not only because he may disappear, and your problems get compounded, but because in the meantime your judgement is clouded, and you don’t react to reality. You go in for wishful thinking. And there was an immense amount of wishful thinking. If there’s a story to be told about the Iranian revolution, as viewed from the outside, wishful thinking is really what it was all about. STEMPEL: I would say that there are—the deputy in the Israeli embassy was a frequent contact of mine. He was outraged that the Israelis were not going to do something. I mean, I had to slow him down with two vodka martinis one night. SLAVIN: Well, what did he think the Israelis could do in this situation? STEMPEL: Well, the Israeli—he thought the Israelis ought to use their influence and power to move with the—with Bazargan and the group that came in under inauspicious circumstances. SLAVIN: But what could they have—I mean, what could they have accomplished, you know? STEMPEL: Well, the Israelis couldn’t have done anything separately, except provide materiel and munitions and stuff, if they had wanted to. And I think they probably could have had some people to do it. But in the absence of any action by us, they were not willing to—they were not willing to put their quarter in, if we’re not going to put our two dollars in. SLAVIN: OK. OK. I have to ask, just to sort of close this, I mean, fast-forward, are there lessons from this whole experience for where we are now with Iran? We have I think the worst relationship we’ve had with Iran since the hostage crisis, almost no communications, direct communications, between our governments. We have the national security advisor openly taunting the Iranians on Twitter that they shouldn’t celebrate their 40th anniversary because they’re not going to have a lot—many more. We have Secretary of State Pompeo essentially saying “good riddance” when it looked like Javad Zarif had resigned. It seems now that he has not resigned. He is—he is back. It was very quick. We have sanctions. We have pressure on our European allies to cut ties, to not have any economic involvement with Iran. Given the history that we have—’53, ’79—where does this put us now? I’d just be curious to get your views whether this kind of policy can be successful in any way in terms of advancing U.S. interests. STEMPEL: Let me jump in on that. STEMPEL: Ayatollah Rouhani is a populist. He is not a radical fundamentalist. SLAVIN: The president? Hassan Rouhani? OK.
SLAVIN: (Laughs.) It seems we often have—it seems we often have bad luck with Iran. STEMPEL: Yes. I’m about there. SICK: The lessons that can be drawn from this, I think, are—I think we’ve done it. I mean, I think we’ve talked about it here. But I do think that Iran has always been the grand exception to almost every rule that you want to give as far as foreign policy is concerned. It’s always been—and what’s going on right now is the United States is deliberately putting its whole reputation as an honest broker, as a legitimate power—we’re putting it all at risk by attacking our European allies, bringing down that alliance, all in the name of trying to stop this second-rate country in the Middle East. It’s a huge gamble. It makes no sense whatsoever. But that’s where we are. So we’ll have another lesson to be learned I think later on as we look at the effects of what happens with what we’re doing now in the way of what goes as policy. And it really is a very strange policy. But, again, it fits in this same pattern. Over and over again we always do the most outrageous thing possible in the name of dealing with Iran. It’s really astonishing. ABRAHAMIAN: I mean, I think the lesson—it’s not so much a lesson—is the mistake to think that because the shah’s regime fell so spectacularly the same thing can happen now. So that if we put pressure on the Islamic Republic it’s going to disintegrate. And here, I take an issue with Kerry, that in 2009 the regime was able to crush the opposition. The shah could have done the same. Here’s the difference: The shah didn’t have the legitimacy, couldn’t do it. In 2009 and now, whatever one thinks about Islamic Republic, it does have legitimacy. It does have the—(inaudible)—it does have the prestige, and they’re willing to use massive force. So it’s not such a house of cards that is going to come down with someone huffing and puffing in Washington. It’s the—it might even be able to react in various ways that would be costly to United States. SLAVIN: I think there’s another message, which is in 2009 they remembered ’79. And they knew that the security forces had to stay together. If you started seeing the defections of the military, as we saw in ’78-’79, the regime would be doomed. And there were no cracks in the security services in 2009. And so far, despite massive protests in Iran that have been going on for more than a year, we still don’t see those cracks. So revolutions are rare things, real revolutions. And they don’t happen every day.